Use your laser printer to its fullest potential by creating your own overhead transparencies. Simply place the transparency film in the paper tray to produce professional transparencies instantly. Designed for use in most mono laser printers. 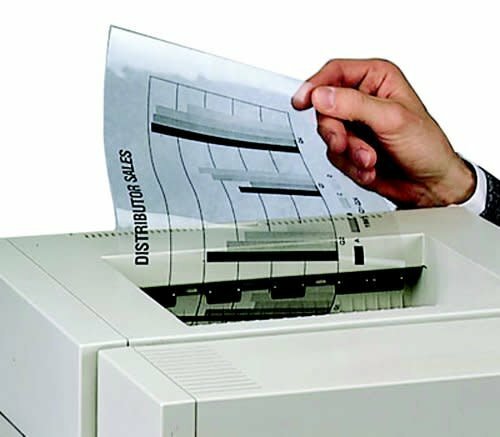 Transparency Film, Laser Printer, Copier, 11" x 8.5"
Use your laser printer to its fullest potential by creating your own overhead transparencies. Simply place the transparency film in the paper tray to produce professional transparencies instantly. Designed for use in most mono laser printers. 11" x 8.5".